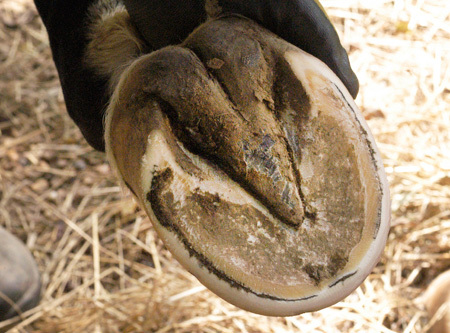 Give Your Horse the Gift of Barefoot: Taking your horses barefoot involves more than just pulling shoes. 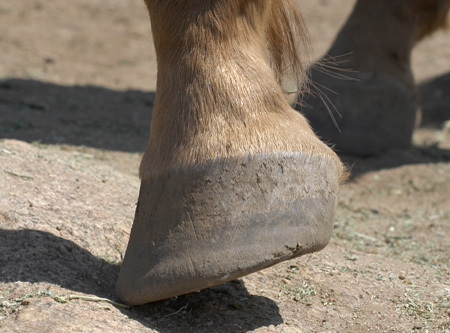 The new breed of natural hoof care practitioners have studied and rely completely on what they call the wild horse model, which replicates the trim that horses give to themselves in the wild through natural wear. The more the domesticated horse is out and about, moving constantly, the less trimming he or she will need. 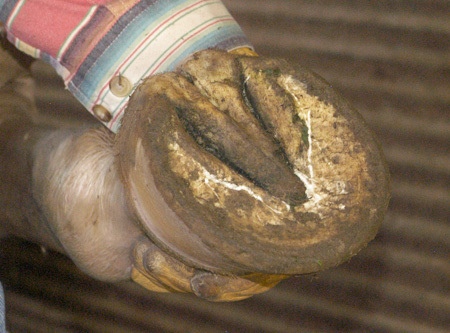 The more stall-bound the horse, the more trimming will be needed in order to keep the hooves healthy and in shape. Every horse is a candidate to live as nature intended. 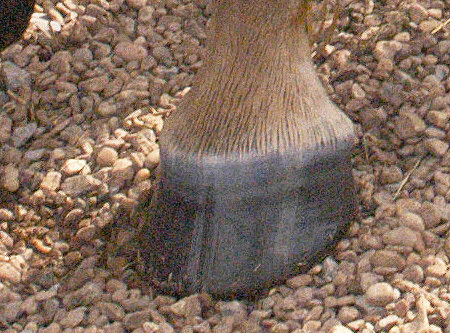 The object is to maintain their hooves as if they were in the wild, and that requires some study. Not a lot, but definitely some. 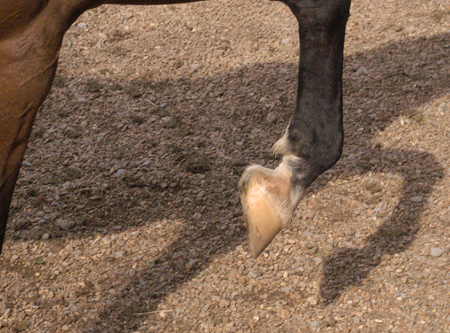 I now consider myself capable of keeping my horses’ hooves in shape. I don’t do their regular trim, but I do perform interim touch-ups. 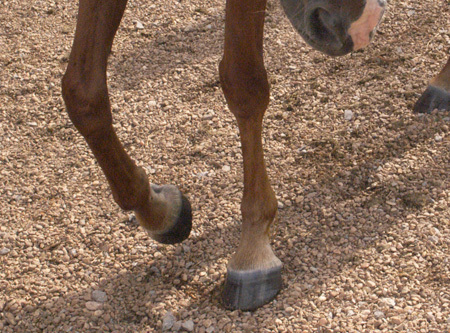 The myth that domesticated horses must wear shoes has been proven to be pure hogwash. 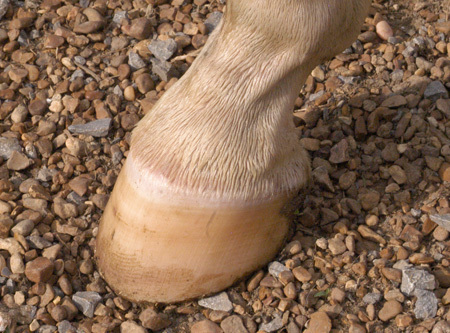 The fact that shoes degenerate the health of the hoof and the entire horse has not only been proven, but is also recognized even by those who nail shoes on horses. 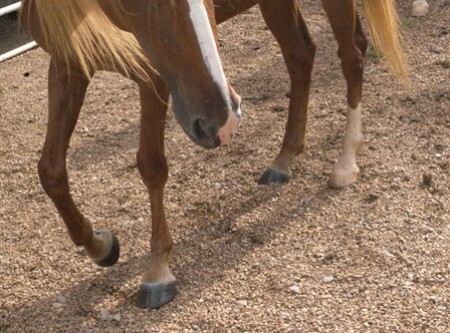 Successful high performance barefootedness with the wild horse trim can be accomplished for virtually every horse on the planet, and the process has even been proven to be a healing procedure for horses with laminitis and founder. On this subject, I beg you not to wait. 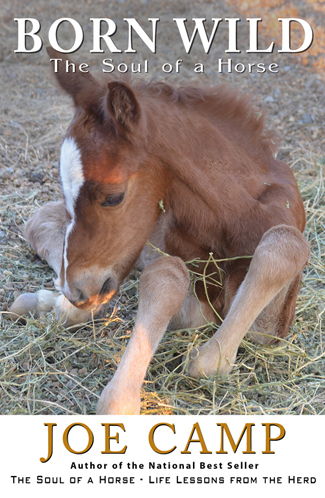 Dive into the material below and give your horse a longer, healthier, happier life. 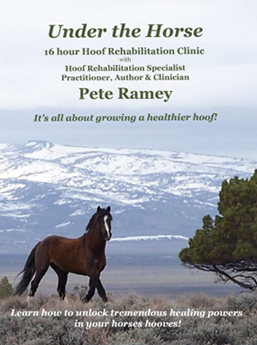 http://www.hoofrehab.com/– This is Pete Ramey’s website. 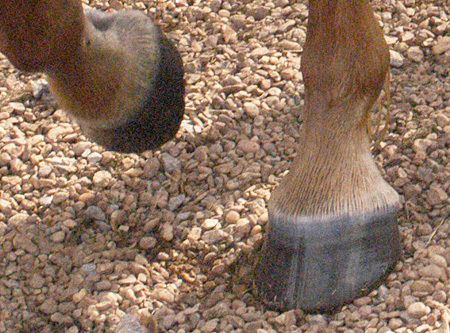 If you read only one book on this entire subject, read Pete’s Making Natural Hoof Care Work for You. Or better yet, get his DVD series Under the Horse, which is fourteen-plus hours of terrific research, trimming, and information. If you’ve ever doubted the fact that horses do not need metal shoes and are in fact better off without them, please go to Pete’s website. He will convince you otherwise. Then use his teachings to guide your horses’ venture into barefootedness. He is never afraid or embarrassed to change his opinion on something as he learns more from his experiences. Pete’s writings have also appeared in Horse & Rider and are on his website. He has taken all of Clinton Anderson’s horses barefoot. https://www.facebook.com/eddie.drabek – This is the website of Eddie Drabek, another one of my heroes. Eddie is a wonderful trimmer in Houston, Texas, and an articulate and inspirational educator and spokesman for getting metal shoes off horses. 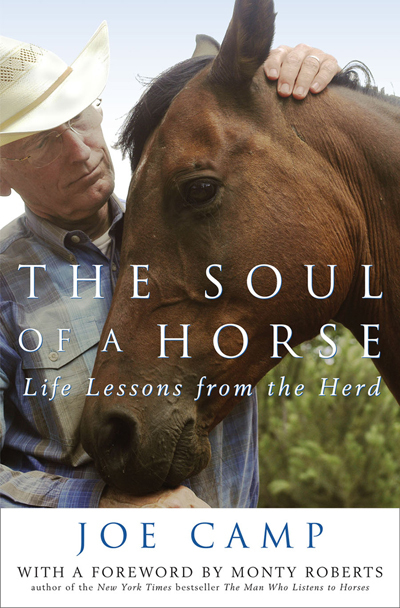 Read everything he has written, including the pieces on all the horses whose lives he has saved by taking them barefoot. 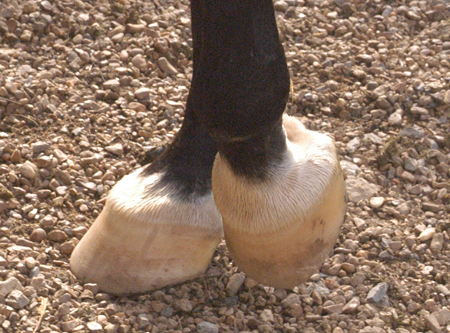 http://www.TheHorsesHoof.com– this website and magazine of Yvonne and James Welz is devoted entirely to barefoot horses around the world and is surely the single largest resource for owners, trimmers, case histories, and virtually everything you would ever want to know about barefoot horses. With years and years of barefoot experience, Yvonne is an amazing resource. She can compare intelligently this method vs that and help you to understand all there is to know. And James is a super barefoot trimmer. Our current hoof specialist in Tennessee is Mark Taylor who works in Tennessee, Arkansas, Alabama, Kentucky and Mississippi. He’s fantastic!! 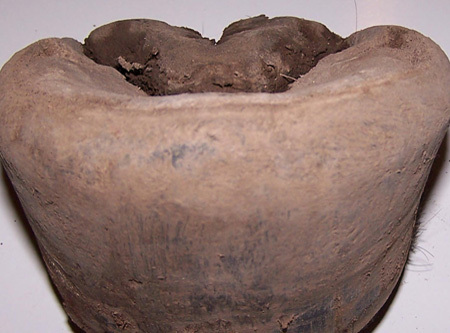 The single best publication you can read on the subject of barefoot!